Last night (February 24th), Wolfmother kicked off the opening North American leg of their Gypsy Caravan Tour at First Avenue in Minneapolis, Minnesota. The tour, organised in promotion of the band’s latest album Victorious, will visit 24 venues in the United States and Canada between now and April 1st, before moving on to Europe for a 28-show stint starting on April 8th. Teaming up with new touring drummer Alex Carapetis, the trio played a set featuring old classics and new hits in front of a sold out crowd. Check out the full setlist below and a few photos and videos from the show on Instagram here. Wolfmother’s new album is on track for chart success in the UK. According to the latest Official Albums Chart Update, Victorious is currently the 17th highest-selling album in the country since last Friday, 19th February. 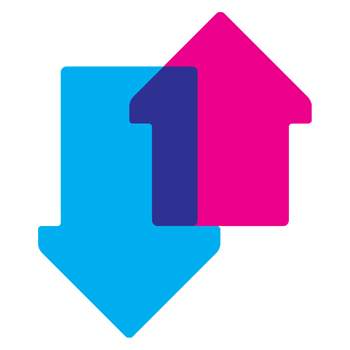 As well as beating out competition from new releases by bands such as Simple Plan and Animal Collective, the ranking is also the highest Wolfmother have achieved in the UK, topping Wolfmother (#25) and Cosmic Egg (#35). The full chart is published this Friday, 26th February, but at this point it is safe to say that Wolfmother will have a new UK chart record with their latest release. This trend is expected to be replicated in several regions across the world, based on positive iTunes chart updates throughout the week. Check back for more updates on Friday! Meanwhile, lead single ‘Victorious’ is now at #31 on the Billboard Mainstream Rock chart! British rock magazine Kerrang! is running a competition in which you have the chance to win the incredible spaceship-themed guitar featured in Wolfmother’s ‘Victorious’ music video released last month. In their words, “All you have to do is head on over to Twitter, post a rad picture of yourself with a rockstar, some fancy artwork or anything band related with the #Kommunity hashtag” for the chance to win the unique instrument. More than a week ahead of its official release, Wolfmother’s new album Victorious can now be heard over on the National Public Radio (NPR) website. Praising the band for producing “arena-rock designed to contain everything that inspires it”, NPR have made all ten tracks from the album available for free listening, giving fans their first exposure to six previously unreleased songs. After entering the chart at number 40 last week, Victorious lead single ‘Victorious’ has risen six places on the Billboard Mainstream Rock Songs chart to number 34. The song’s success is likely due in large part to the attention it is receiving on music streaming service Spotify, where as of this article’s publishing it has over 430,000 listens. Cosmic Egg lead single ‘New Moon Rising’ reached number 33 on the chart in 2009, while Wolfmother classic ‘Woman’ reached a band record of number 7 in 2006. Wolfmother have today unveiled the lyric video for ‘Pretty Peggy’. Debuted exclusively via Shazam, the video was directed by Willie Witte, who has previously animated a video for the Chicken Lips Malfunction Remix of ‘Love Train‘. As for the song, Shazam noted that ‘Pretty Peggy’ “showcases the softer side of the band”, which somewhat marks a departure from the band’s typical hard rock approach. According to Mr. Andrew Stockdale, Wolfmother will have a new song called ‘Remove Your Mask’ included on the soundtrack for the upcoming film Zoolander No. 2. The film, which was directed by lead star Ben Stiller and opens in cinemas worldwide at the end of this week (February 12th), is the long-awaited sequel to 2001’s Zoolander. Posting on his various social media accounts, Stockdale said the following about the news: “Super psyched to have a new song “Remove Your Mask” in Zoolander 2!!! The sequel to possibly the greatest movie of all time!” ‘Remove Your Mask’ is not included on the standard editions of Victorious, but in a comment the Wolfmother frontman confirmed that it would be included on deluxe editions of the album (yet to be announced). Furthermore, in an interview with Chicago Innerview published last year, Stockdale named ‘Remove Your Mask’ as one of his favourite tracks from the upcoming record, explaining that the song is about “pretentious people [who put] all their energy is put into maintaining a façade”. The title track from Wolfmother’s upcoming album, ‘Victorious’ has charted in the United States. The song reached number 40 on the Billboard Mainstream Rock Songs chart for the week of 13th February 2016. 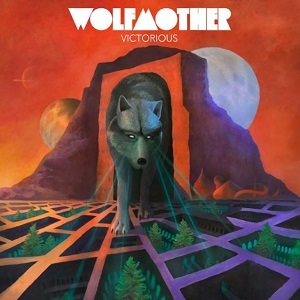 ‘Victorious’ is the first Wolfmother song to register on the Mainstream Rock chart in over six years, since ‘New Moon Rising’ reached number 33 in 2009. Previous entries include ‘Woman’ (#7) and ‘Joker & the Thief’ (#27). Personal note: sorry this is so late, but I recently moved house and don’t have proper internet yet! As teased on the mailing list, Wolfmother recently announced a bunch of European shows to be added to their Gypsy Caravan Tour in promotion of upcoming album Victorious. The shows will follow the previously announced North American tour dates, beginning in Dublin, Ireland on April 8th and concluding in Bilbao, Spain on May 14th. Full dates are below.